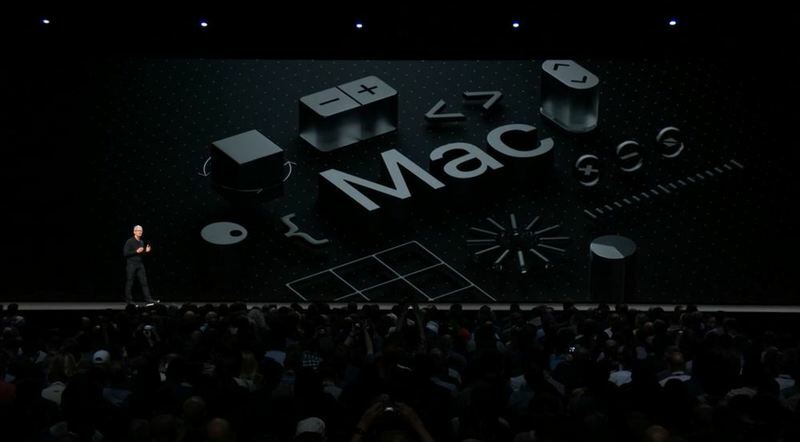 "Next up is the Mac"
"The Mac is the first computer that made powerful technology so easy to use and put the customer at the center of the experience. That remains at the core of all Apple products. 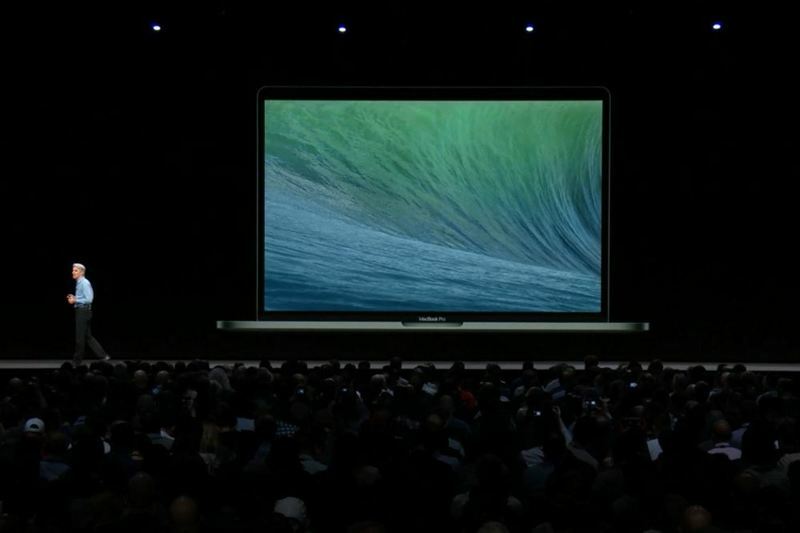 "Today we're excited to take Mac a huge leap forward." 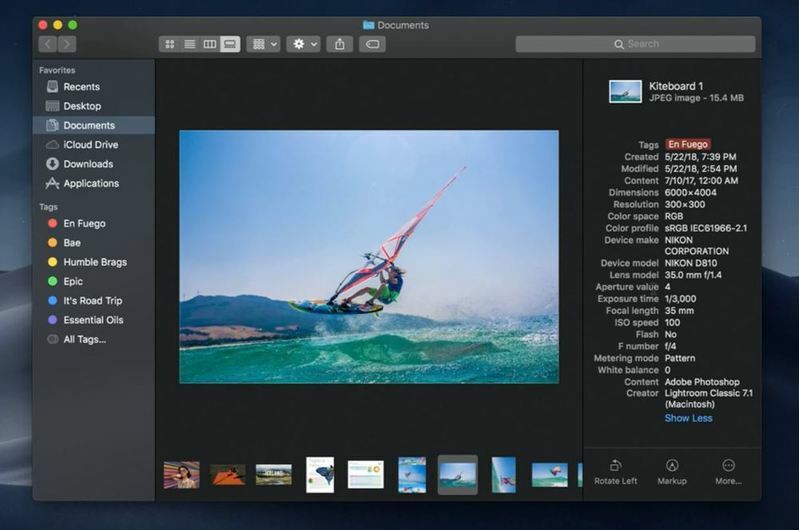 "The next version of MacOS ... is inspired by pro users but designed for everyone." "We want as many Mac users as possible to have access to our software. Six years ago began offering updates for free." "As you may be aware, our naming of Mac releases is handled by our crack marketing" department. "This year we've made some striking changes to MacOS, and we've left the high country for a place entirely different but no less beautiful." "Now Mojave is beautiful during the day, but what really captured our imagination was the beauty of the desert at night." "This inspired one of our new features." "We call it Dark Mode." 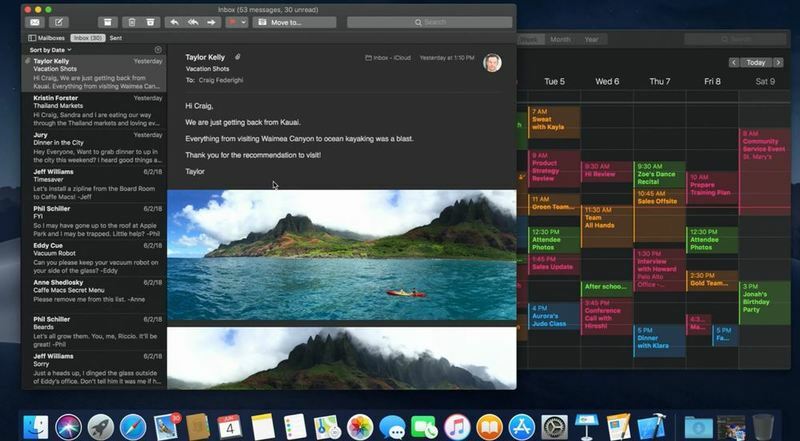 "As you see, Dark Mode is not just about the dock and menu bar. It extends to windows bar, even the content of the windows. It makes photographic content absolutely pop off of the screen." "This is great not just for photography but when working on presentations." 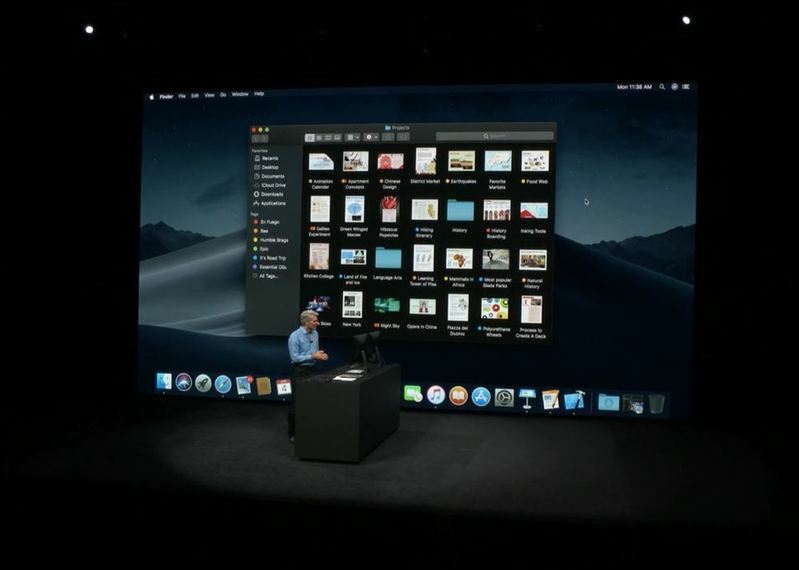 macOS Mojave Dark Mode...perfect for blogging at events like these. I want this on iOS! "I think some of us are going to want to run dark mode just because it's so cool. Your emoji look great, your photos look great." "I think one audience that's going to especially appreciate dark mode are developers." 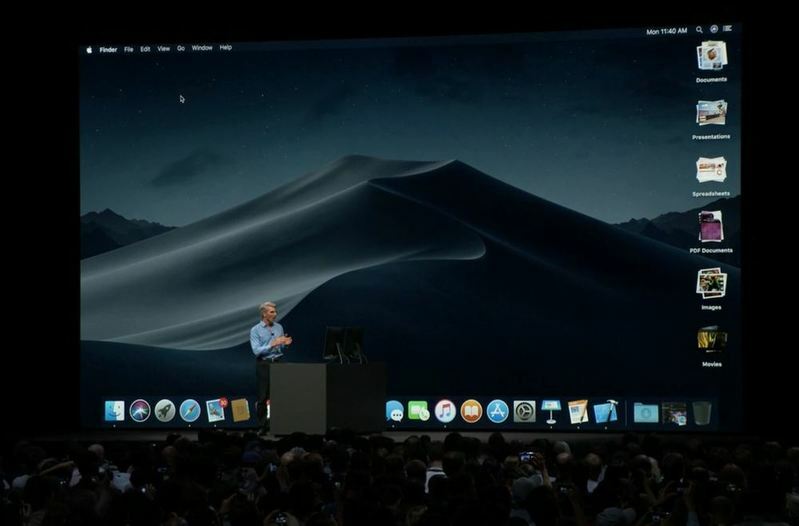 "Now we were so inspired by this changing desktop wallpaper that we decided to add a new feature to Mojave. Called dynamic desktop. Desktop subtly changes from morning etc. "We have so many files we're working on and we often put them on the desktop. New solution called Desktop Stacks." "All of the contents of your desktop are automatically arranged into these stacks. They can be arranged by kind, date or even by tag. You just click on them and can see all of the contents on the stack." "you can also scrub your stacks." "We've also brought some great new changes to the Finder." "It starts with a new view. We all enjoy using icon view, list view, column view, now we've added an all-new view called Gallery view. A big preview up top and thumbnails along the bottom." "Now the new sidebar in Mojave really helps because it now supports full metadata. You can see along your photo the camera you took the photo on, etc. Has more helpful info than Cover Flow had. Seems more usable in everyday situations. "What's really great is these actions are also customizable so you can create automated actions and assign them to buttons inside of Finder."